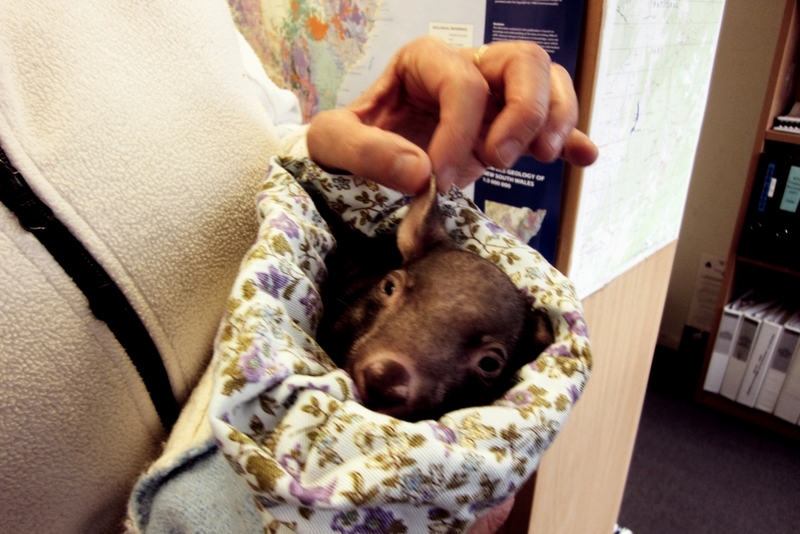 Living and working as we do, at the intersection of one of Australia’s biggest National Parks and a thriving ski industry, interactions with the native wildlife are sadly inevitable. I’m not sure of the figures, but based on my own observations hundreds of native animals are killed on our regions roads every year. 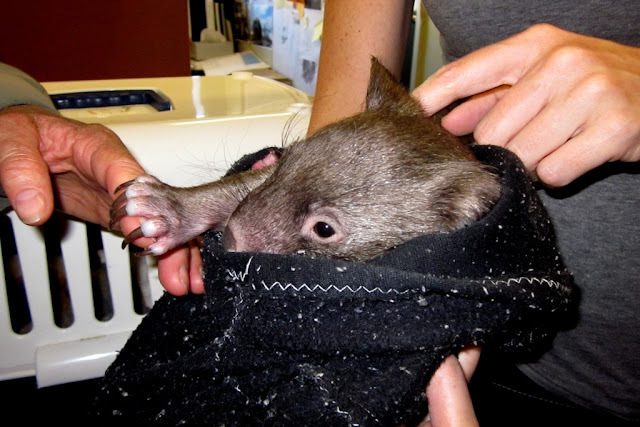 Marsupial young can spend up to a year in their mothers pouch and then longer learning the nuances of life from their mother. Often the death of a female would lead to the death of its offspring. 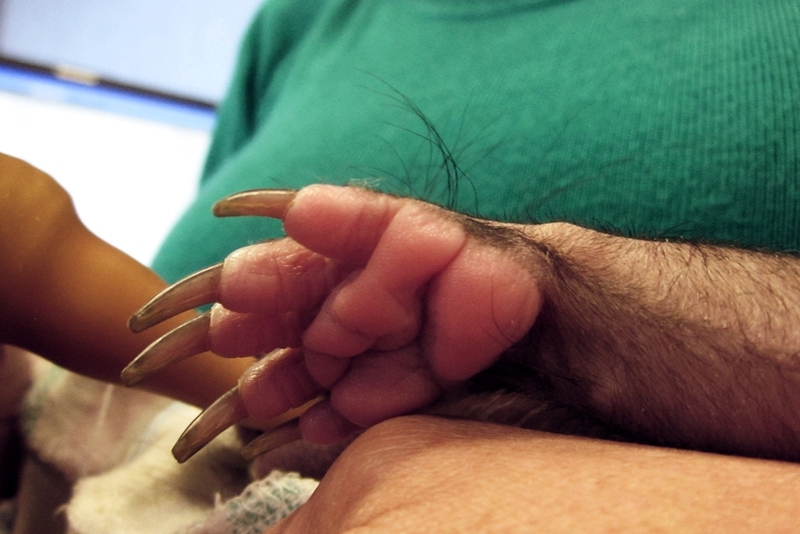 However, if the pouch is checked at the time of an accident and with a lot of luck the orphan can be saved. LAOKO (Looking After Our Kosciuszko Orphans) is a wildlife rescue group of trained volunteers who assist in the rescue and care of native wildlife in the Snowy Mountains region. 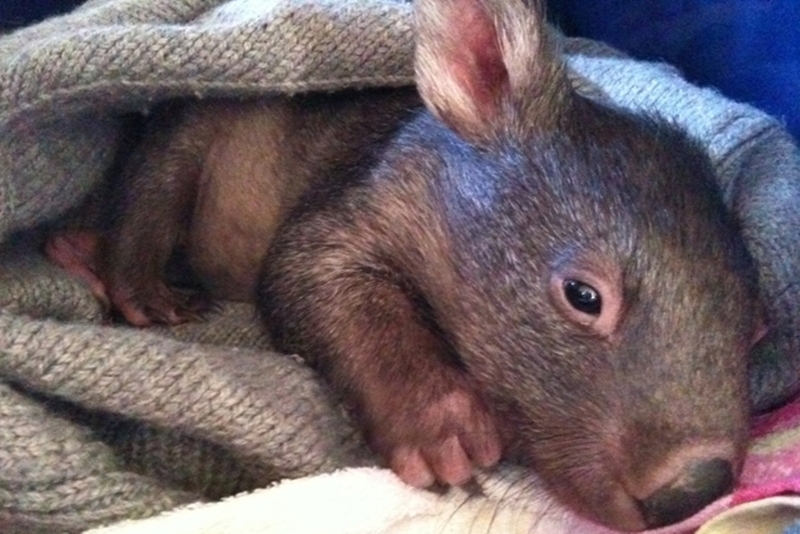 The group also assist in the raising of native orphans and rehabilitating them for release back into the wild. 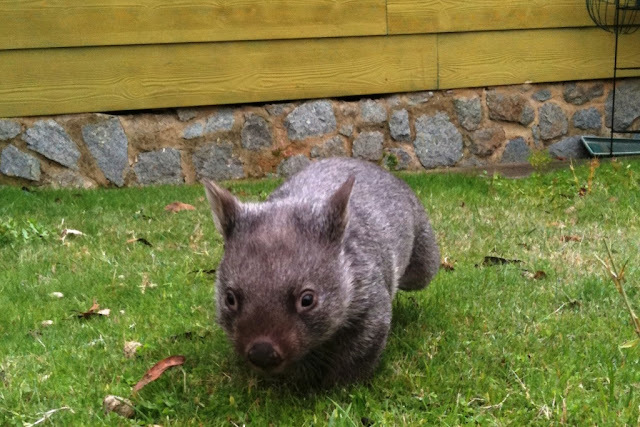 Quite a few of my colleagues are members of LAOKO and its not uncommon to see the odd joey jumping around the office. 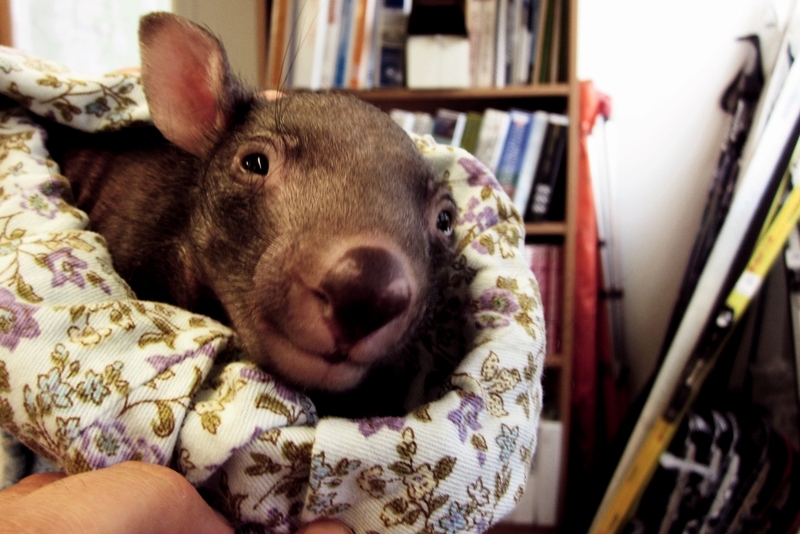 Late last year Walter the wombat was given to my colleague Carmen to raise, ill let her tell her story…. 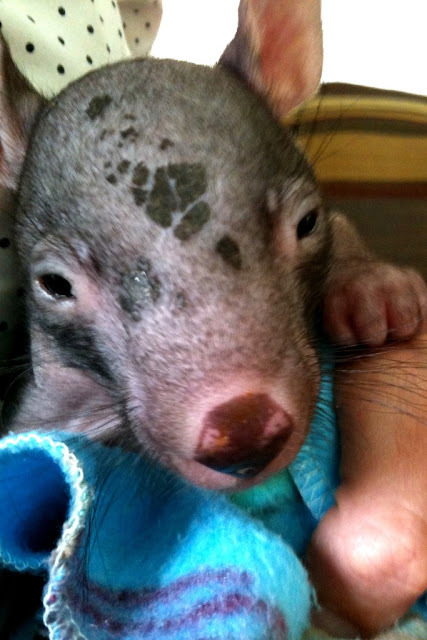 “Walter came to me when he was just 600 grams and probably about 4 months old, just lightly furred and starting to regulate his own body temperature - two things which meant his chances of survival were pretty good. I fed him 6 times a day around the clock for the first 7 weeks til he finally hit 1kg in weight, then I could drop to 5 feeds a day, and later just 4 feeds. 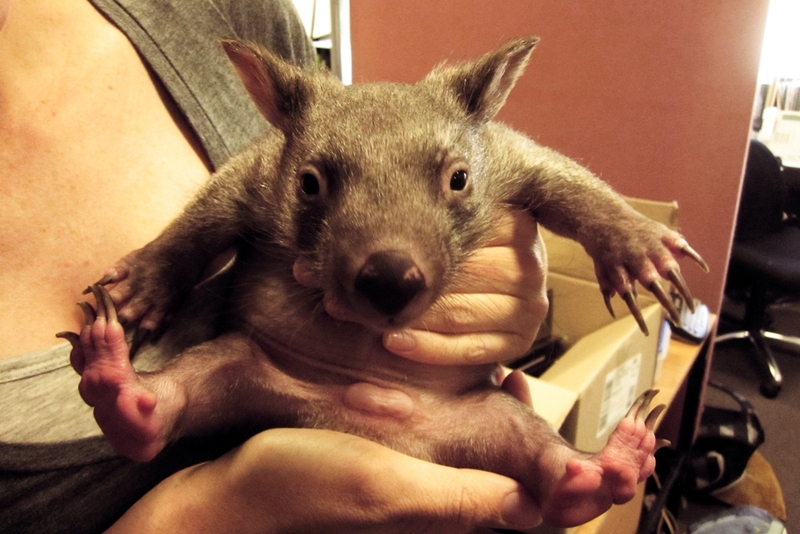 When he was not fully furred and feeding more often he mostly stayed in his pouch. Not sure what's doing here, ear massage perhaps? 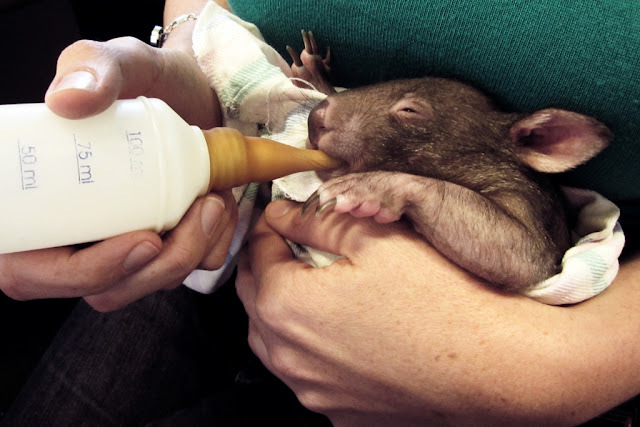 A joey under 1 kilo is like a new born baby and has to be kept sterile; even washing and sterilising all bottles and teats, and boiling water to make up milk. As he got older and more adventurous, Walter liked to explore all around the house including under beds and in cupboards. He liked to nibble on feet and often wanted to climb up onto the lounge to sit with me and explore even more. Because Walter operates strongly on his sense of smell he could usually find me wherever I was in the house. He'd even come and find me in bed at night. This is because he has excellent olfactory senses and is nothing to do with me being stinky! I had Walter for 5 months in total and when he left me he weighed 3.8 kilos and was fully furred, and starting to enjoy time outside to eat grass and dirt. He also enjoyed eating rolled oats, shoelaces and cardboard. He has gone to another carer and is now buddied up with another wombat, to learn to socialise and de-humanise a little. 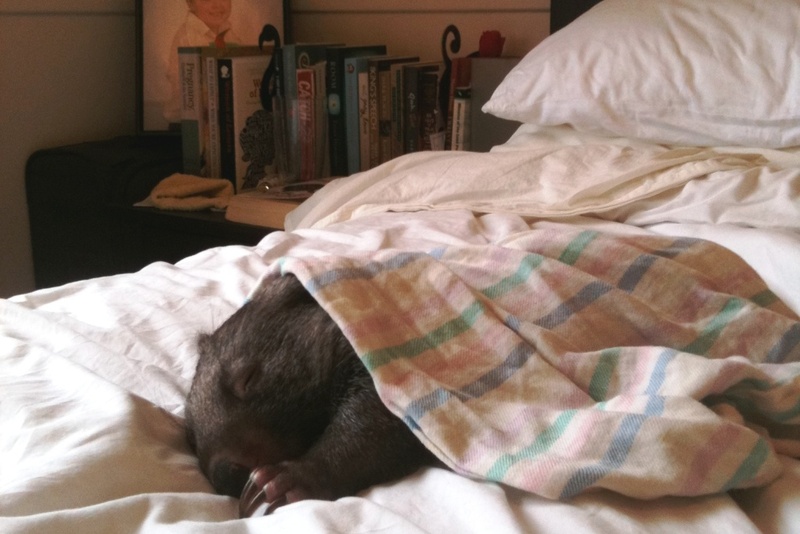 He will eventually be released back into the bush (probably not near a National Park though, usually on a LAOKO carers property out Berridale - Cooma way). I have heard he's getting along well with his new wombat friend and has put on another kg, so I'm guessing he'd be about 5kg now. Walter and mummy, look at those claws now! Hopefully he will grow up to be as big as this guy. I love him :) Awesome post!